Everyone deals with their finances a little bit differently, so it is important to know that not every aspect of saving will work for you. Get on the right track to success and avoid these five common money mistakes. 1. Taking budget breaks – This can go poorly, as the entire point of the budget is to make sure you spend and save properly. However, if your budget isn’t working for you, then this means you need to take time to adjust it. 2. Saving too much cash – One of the easiest ways to hurt your budget is to be too optimistic about how much money you can save. Don’t put a bunch of funds into your savings account to the point where you don’t have enough money to spend on necessary expenses. 3. 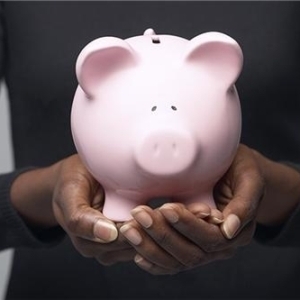 Saving too little – The point of saving is to have a certain amount of money that you can put toward a goal. Whether that goal is to save money for an emergency fund or a deserved vacation, is up to you. If you don’t save enough, you won’t get anywhere. 4. Having too many savings pools – You may have aspirations to do many things that require cash and you need to save money to make them happen. However, when it comes to formulating long-term plans, you need to be realistic. If you stress yourself out trying to save for too many goals at once, you could quickly burn yourself out. 5. Changing your lifestyle – If you continue to go out and spend a lot of money hanging out with friends or shopping, your savings could suffer. You don’t need to abandon all your habits and entertainment, but try to practice moderation. If you need any more advice on a savings plan that fits your lifestyle, contact Omni Financial, we’ll provide the help you need.